We recently came across an article, written by Anne Quito and published on the Atlantic in 2015, which inspired us to write about the Pantone system and why colour standardisation is such a big deal. Pantone is perhaps the most universally recognised colour-matching system in use today, and it benefits from a thriving company culture. It has established itself as a lifestyle brand that has licensed its vibrant personality to various companies around the world through a program called the ‘Pantone Universe’. 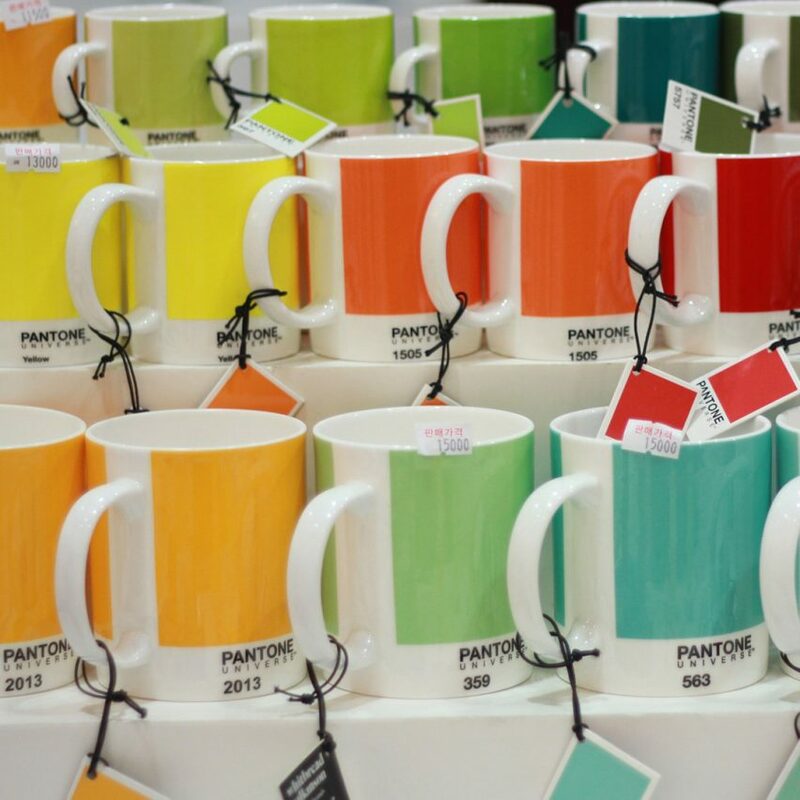 Museum’s gift shops and stores across the globe sell Pantone-branded objects (such as the iconic mugs featuring their signature colour chip); you can book into the Pantone-themed boutique hotel in Brussels or stop for a coffee at the Pantone café in Monaco. It’s amazing how the company has turned a colour matching tool for the trade into a lifestyle brand. The term Pantone is a blend of two words ‘pan’ + ‘tone’ and means ‘all colours’. It is the name of the company founded in 1963 by an American chemistry graduate named Lawrence Herbert who devised a system to standardise colour, specifying the exact ink formula for every shade. His system solved a huge problem—it provided a solution to achieve colour standardisation and a reference point to every professional in the design industry. Brands use their corporate colours consistently as part of their signature. You can spot the red and yellow of McDonald from miles away, the same way a Coca-Cola can wouldn’t look and maybe even taste the same in a different shade of red. On Pantone’s website, we read that studies have shown that the right colour can increase brand recognition by up to 87% and the right colour can sell products and ideas more effectively by 50-85%. However, the colours we perceive are dependent on various factors: the medium they’re on (the kind of paper, fabric or surface), the environment (the lighting, the weather, the time of day) and our colour acuity (or colour blindness). So defining a precise shade of a colour is entirely subjective and only achievable with the aid of a colour matching system. As Pantone states on their site—”Choosing the right colour is only the beginning. Keeping that colour consistent presents multiple challenges”. Pantone’s digital tools can, therefore, help us overcomes colour interpretation issues, and the physical colour references that the system provides enables us to communicate the precise colour requirements in a language that is recognised around the world. Colour Systems Intro | store.pantone.com.